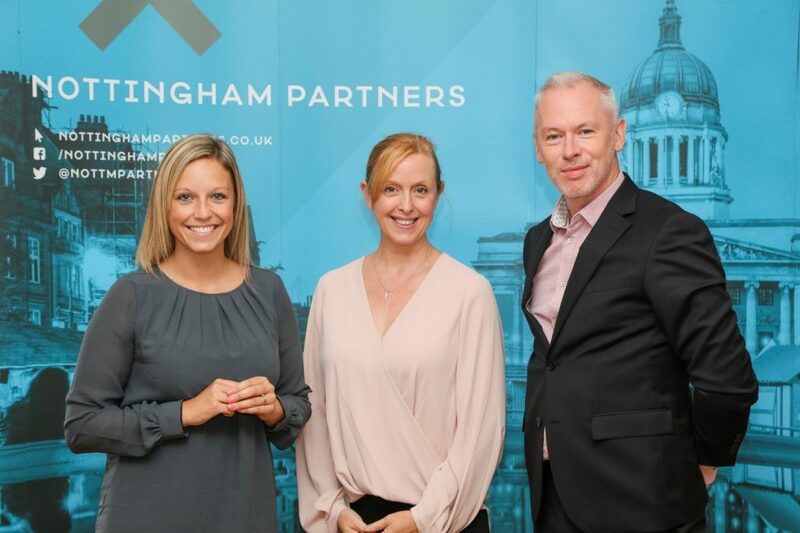 Guests from leading city businesses attended the latest Nottingham Partners event at the St James Hotel in Nottingham on Friday 14th September to hear inspiring talks from Fran Cox and Sarah Walker-Smith. Attendees were entertained with a number of innovative ideas from these two thought leaders about how Nottinghamshire’s businesses can improve performance through adopting a more collaborative way of working and also by developing and rewarding their talent base. The lunch began with casual networking amongst the attendees – an opportunity for members of Nottingham Partners to meet other like-minded businesspeople to chat and share ideas in a friendly and open atmosphere. 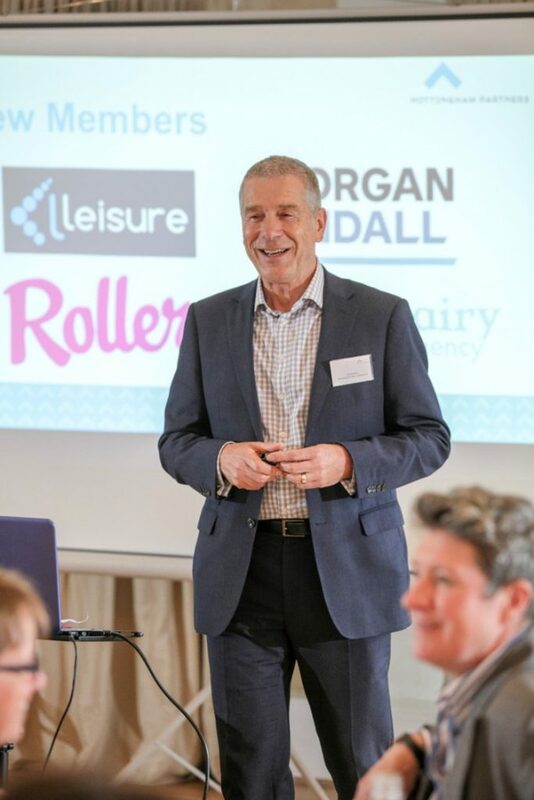 Paul Southby, Chairman at Marketing NG, opened the talk by welcoming the newest Nottingham Partners Members – Liberty Leisure Ltd, Morgan Sindall, Roller and The Dairy Creative Agency – before introducing the two speakers, Fran Cox (Operations Director at Sunesis) and Sarah Walker-Smith (Chief Operating Officer at Browne Jacobson LLP). Fran Cox began her talk on improving our collaborative working practices by using the analogy of Nokia, who once dominated the mobile phone market. She suggested that their downfall might be due to complacency – their failure to adapt and evolve, to take risks and to consider doing things differently – which eventually allowed competitors such as Apple and Samsung, who were willing to do those things, to steal most of Nokia’s market share. Fran used this example to illustrate how Nottinghamshire’s businesses should strive to be innovative in their collaboration, responding to changing needs in the industry and using different approaches to solve problems. She argued that we need to address the culture of complacency and pointed out that modern industries are sometimes so preoccupied with avoiding risk that they forget that sometimes it’s good – necessary, even – to take risks. Fran provided several industry examples of developers using different thinking and approaches to solve problems creatively. She spoke notably about her own experiences in pre-construction, describing a time when Bedford Borough had needed to deliver primary and secondary school places fast but faced a series of problems which prevented them from being able to build new school premises on an already occupied middle-school site. To resolve this, the developers decided to build outside of normal working hours – through the night and at weekends – and successfully finished construction within 12 weeks thanks to their innovative thinking and collaboration. “We didn’t manage it by following the same old rules.” Fran said, encouraging other businesses to think outside of the box to tackle their own challenges. Sarah Walker-Smith spoke about talent retention in Nottinghamshire, building upon ideas from a recent talk by PWC. She discussed the current issues, noting that Nottinghamshire’s graduate retention rate is only 23%, compared to much higher rates in other major cities such as Manchester and Birmingham, which are over 40%. She examined possible reasons behind this, explaining that with the huge breadth of diversity in workforces, it is becoming increasingly difficult for employers to satisfy all their employees. The talent retention issue has also been further complicated and compounded by globalisation and digitalisation. Sarah argued that improvement of talent retention should be a focal point over the coming years, not just for members of Nottingham Partners but for all of Nottinghamshire. 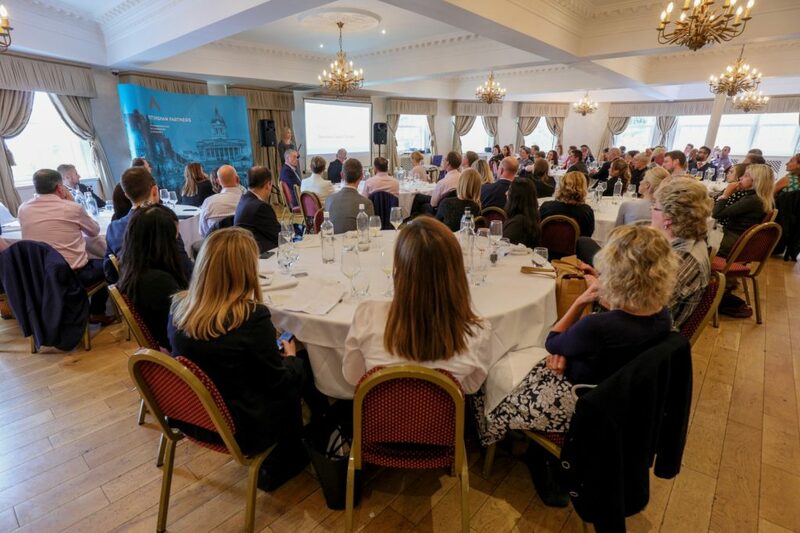 She explored 8 ways in which Nottinghamshire’s businesses could make themselves more appealing to their employees, helping to satisfy their diverse workforces and increasing retention rates, based upon the latest cross-generational HBS research. For example, the research found that 92% of employees need to feel a sense of purpose – to believe that their business is about more than just profits and is actively involved in social issues. Employees want to have choices within their job and be able to follow a bespoke career path which reflects them as an individual. 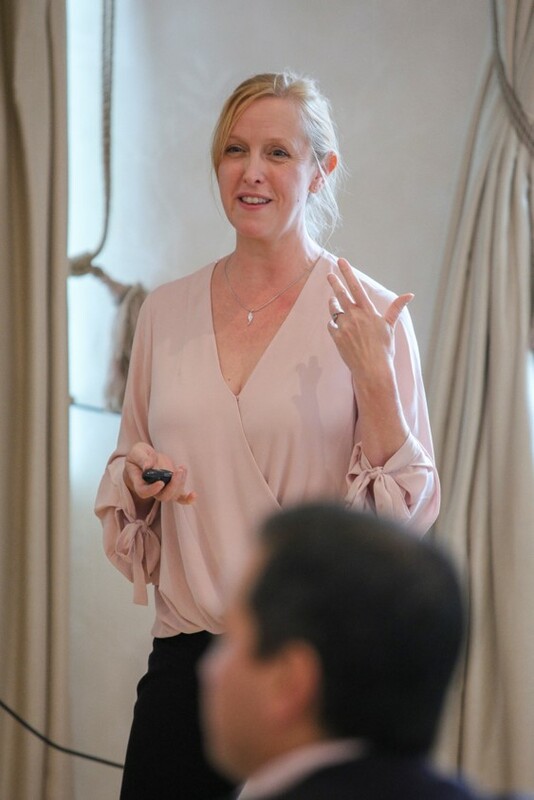 A level playing field and inclusive workplace, a business that keeps its promises, future-proof leadership and lifelong learning were among the other ways that businesses could improve their talent retention, she explained.